Size of a small thrush. 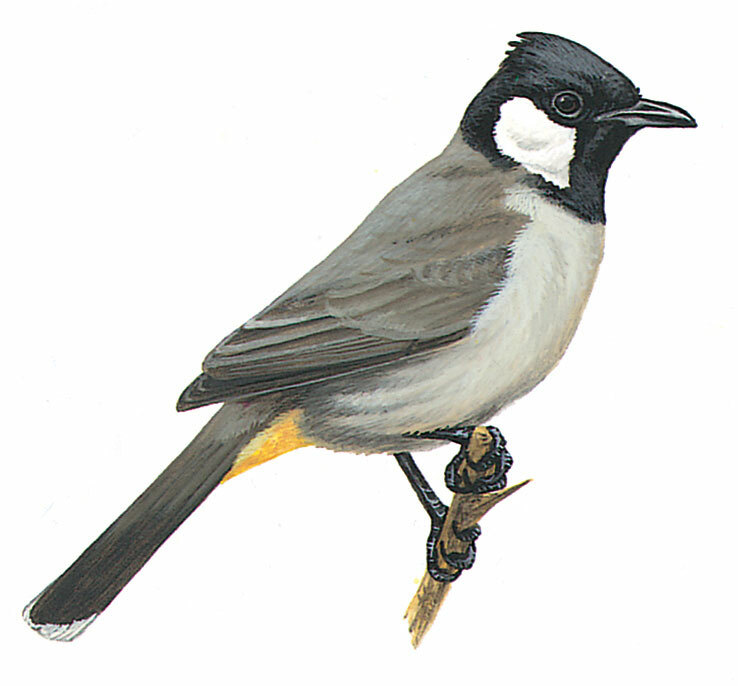 Easily told by black head and throat with large white cheek-patch; the race that occurs in the region, leucotis, often shows only slight crest. Undertail-coverts yellow and noticeable white tips to tail-feathers. Juvenile has browner head than adult.